How does Google determine which website to rank number one, two and three? It comes down to SEO, right? Well, it's more in-depth than that. Google has over 200 factors, and the number one factor that affects rankings is backlinks. 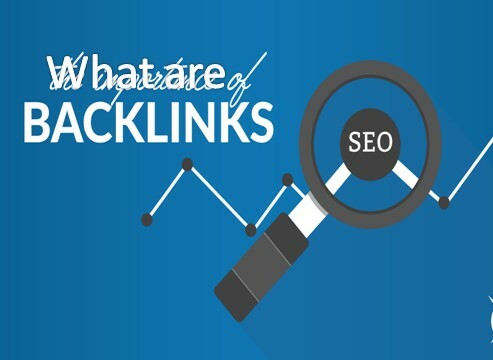 Today, I'm going to teach you what backlinks are and how they work. Moz SEO company interviewed tons of marketing experts, and they asked them what factors affect Google's rankings the most? They all said backlinks. So, with backlinks, that's one website linking to another website. Google's looking at it as votes. The more links that your website has, the higher you're gonna rank. In addition to that, they're looking at quality. So, if Huffington Post links to you, that's way more effective than if Joe the plumber linked to you. And Google knows that it's way harder to get a link from Huffington Post than it is to get a link from Joe the plumber. Now, another thing that they're using within their algorithm is how related is that link? So, if Huffington Post links to your plumbing website, that's actually not as effective compared to Joe the plumber linking to you. But, on the flip side, if Home Depot linked to you because it's very relevant and they're within your space, that's way more effective than if Joe the plumber linked to you. Google is looking at how many backlinks you're getting; how many you're getting over time because it has to be natural, they don't want you to just go pay people to link to your website because they don't like that, you shouldn't pay for links; they're looking at how related those websites are; and they're looking at something called domain authority, that's how authoritative that website is. So, assume you're getting tons of backlinks, you're getting them from related websites and they have high domain authority. A domain authority is on a scale of 0 to 100, 100 being like a Google.com, a Youtube, a Facebook. And it works like on a Richter scale, right? A logarithmic scale, in which it's way easier to go from 1 to 10 than it is to go from 10 to 20. So, if you can get a lot of backlinks, you can get them from relevant sites, and you can get them from authoritative sites that have high domain authority, your rankings are gonna climb. If you're wondering what domain authority is, like what number a certain site has, you can go to ahrefs.com, put in a URL and they'll spit out the domain authority. It's a paid tool. A free version of this is Open Site Explorer. If you Google 'Open Site Explorer', it'll take you to moz.com, and you can put in a URL and it'll tell you that site's domain authority. Now that you know how links work in the eyes of Google, if you want to get links the quickest way is to do round up posts.